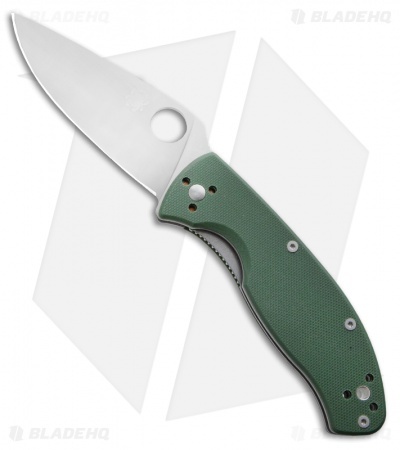 This Spyderco Tenacious C122 Limited Run features a green G-10 laminate handle and satin finished blade with a plain edge. Tucked under the G10 scales are skeletonized steel liners increasing the handle’s rigidity and strength without adding non-functioning weight or bulky thickness. The 8Cr13Mov stainless blade is leaf-shaped and ground flat from spine to cutting edge for cutting performance. 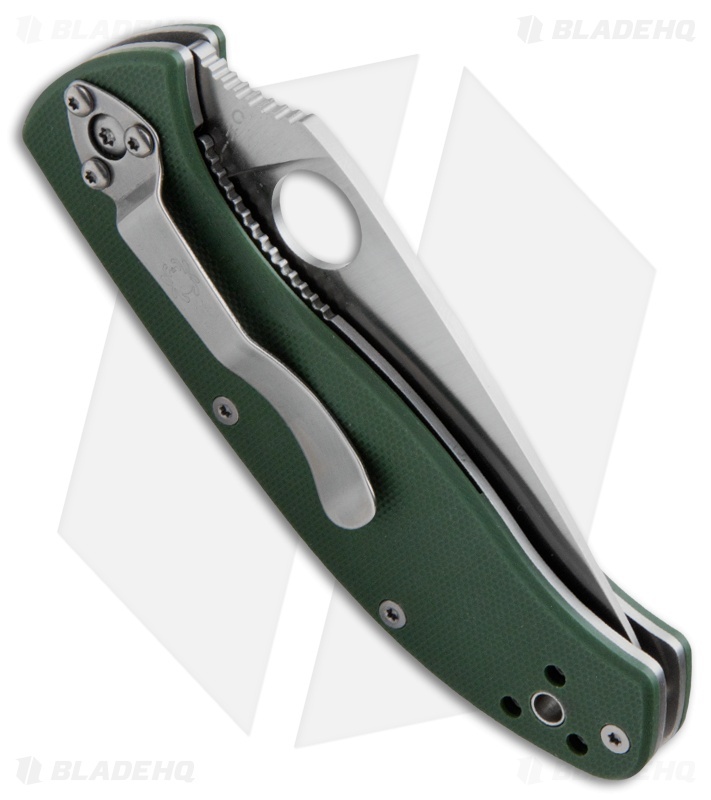 The blade’s shape coupled with an over sized Spyderco Round Hole and textured spine jimping allow you to open the blade and position your thumb on the spine in slip-proof confidence ready for work. A Walker Linerlock (with jimped liner) and a 4-way pocket clip lets you set your carry and draw preference: Tip-up/tip-down left-hand/right-hand. Screw together construction. This knife is fantastic! Built like a tank! Cant beat it for the money! After a decade, I found one of my first knives that I bought - a Kershaw Junkyard Dog. Finding it was like reigniting my passion for knives and thus I got back into collecting. When researching for a new EDC I initially bypassed the Spydercos just because I didn't really like the aesthetics on it. 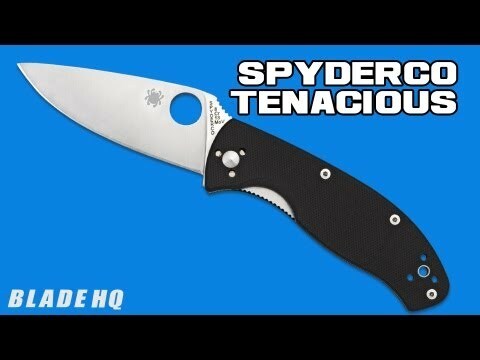 But the more review videos I watched and the more pages I scrolled, Spydercos started to grow on me. I decided to give Spydercos a try so I wanted to start with a more budget friendly knife and my attention came across the Tenacious. When I got it, I immediately fell in love - the ergos, the G-10, even the blade! I know 8Cr13MoV is often knocked around a bit as not a great blade steel, but I've been using it as my EDC and it's been awesome! I haven't had any issues with it and this knife is definitely an EDC keeper for me and simple gift-idea for people I know who are contemplating on getting into the knife-life as well. I got this knife for my son when he was about 8 years old. It's a great beginner's knife... Love it!. Great value. Ergonomics are awesome. Steel is not a "super steel", but it's easy to sharpen and takes a nice edge. Love the green color. I would buy again... and again. First Spyderco I've bought and I'm sold. Great quality for a budget knife, centering is perfect and action is better than expected. Definitely gonna be in the market for a more premium Spyderco in the future. I love Spyderco and I love this knife. This is one my biggest EDC knives, but I like it too much not to carry it. I've sold multiple buddies on this knife also once they see it. It has got the classic look with the opening hole and it comes super sharp out of the box. I haven't had any issues with it.